from NZ$ 540 Pump, in NZ deerskin with calf leather lining. Single leather soles and sculpted, leather stack heels. 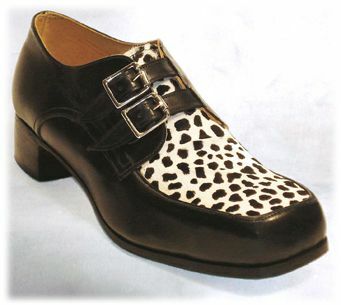 from NZ$ 520 Curly–Q pump in kid or calf leather with contrasting piping and calf lining. Single leather soles and leather covered heels. Special leathers as per black pair on request POA. 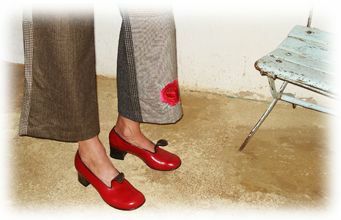 from NZ$ 595 Pull–on loafer shoe. 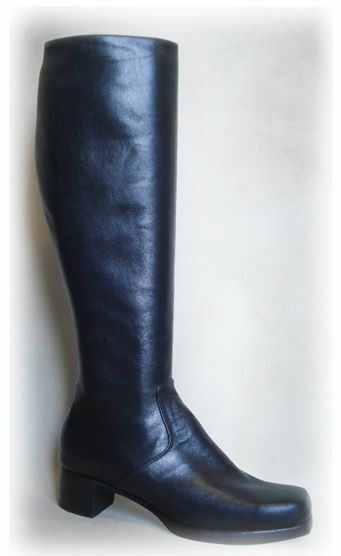 Calf leather with ostrich shin overlay, calf lining. Hidden elastic for close fit. Single leather soles and low stack heels. from NZ$ 545 Button closing dress shoe. Textured or plain calf leather and calf lining with brass buttons. Leather soles and low heels. from NZ$ 625 Loafer ankle height shoe in charcoal nubuck with ostrich shin forepart. 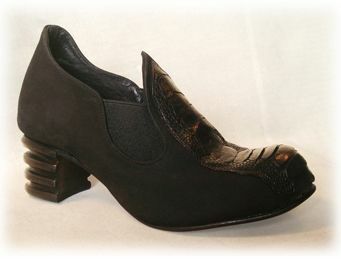 Single leather sole and stack heel with licorice scuplting detail. 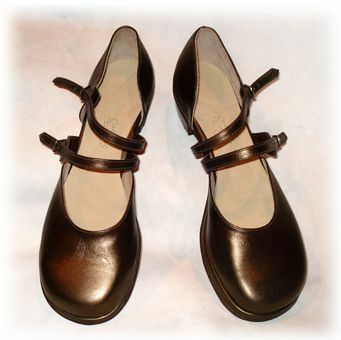 from NZ$ 595 Double buckle closing, apron dress shoe. 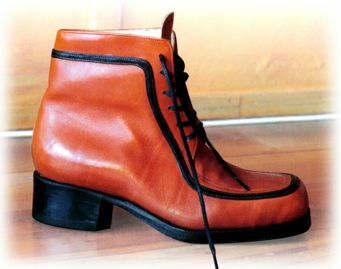 Calf leather with contrasting apron, calf lining and chrome buckles. Single leather soles and stack heels. 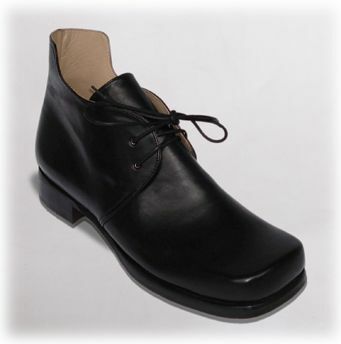 from NZ$ 550 Lace up in soft calf leather with contrasting inlay and stitching. Single leather sole with low stack heels. 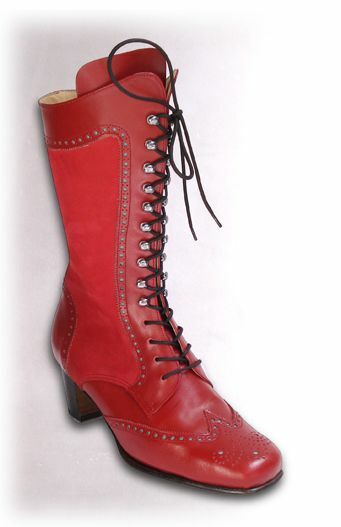 from NZ$ 650 Ankle length lace up boot in calf leather and nubuck with brogued detail. Single leather soles and stack heels. 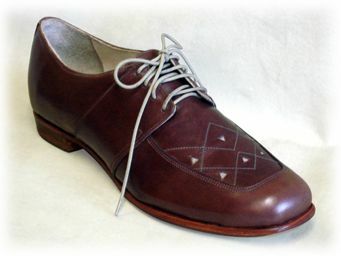 Balmoral Brogue - a different version with a smooth leather, lower heel height and zip entry. 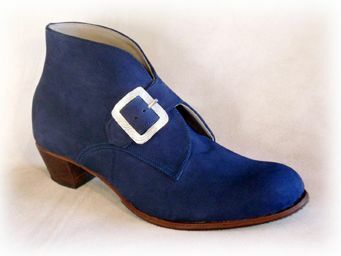 from NZ$ 650 Buckle–up ankle boots. 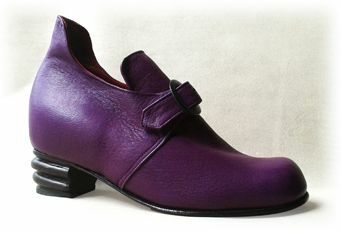 Nubuck (green) and NZ deerskin (purple), calf lining and antiqued buckles. Single leather soles and stack heels. from NZ$ 650 Buckle–up ankle boot. 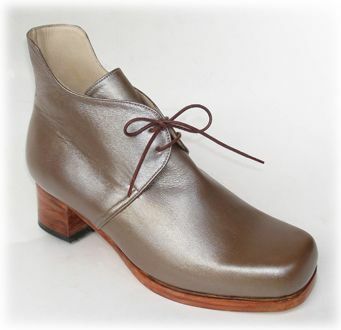 Nubuck leather, calf lining and chromed buckles with single leather soles and stack heels. from NZ$ 650 Lace–up ankle boot. 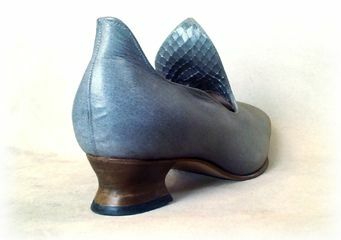 Calf leather and lining with double leather soles and stack heels. 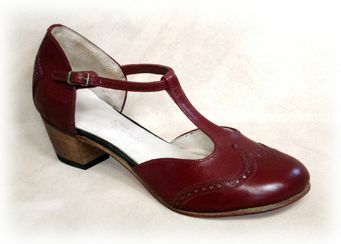 Tudor laced with a higher heel and less square toe. 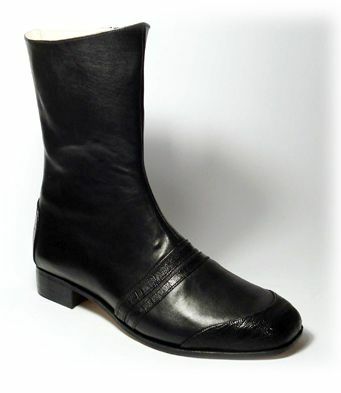 from NZ$ 690 Chelsea Boot in calf and ostrich leather with calf lining. Covered elastic. 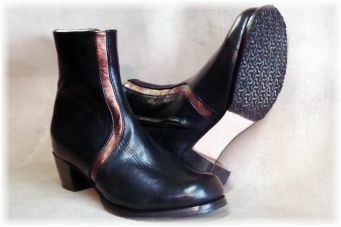 Double leather soles and leather stacked Cuban heels. 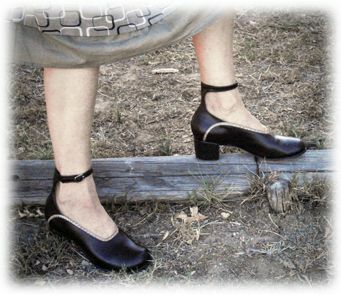 NZ$ 585 Open buckle strap shoe on chiseled toe. Calf leather with sueded collar and chrome buckle. Calf lining, single leather soles and tapered stack heels. 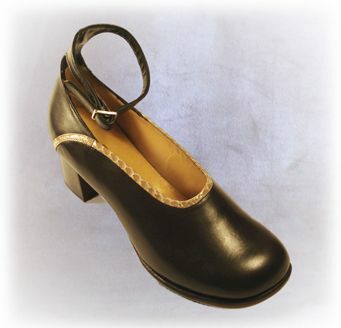 from NZ$ 545 Open sided shoe, double buckle strap fastening. Calf leather and lining with chromed brass buckles. Single leather soles with padded platform and low leather stack heels. 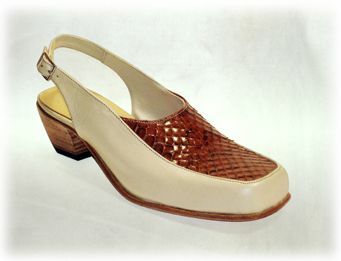 from NZ$ 540 Slingback, in calf leather with snakeskin apron. Nubuck or suede contrasted with calf leather is an alternative option. Single leather soles with Cuban leather stack heels. from NZ$ 595 Retro calf leather pump with ankle strap. 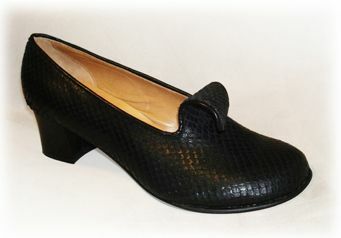 Snakeskin trim detail and calf lining. Single leather soles and straight stack leather heels. 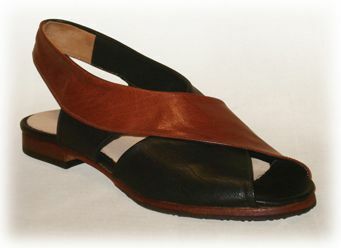 $ 495 Sandal in soft calf leather with two tone for versatility. Single leather sole with low stack heels. 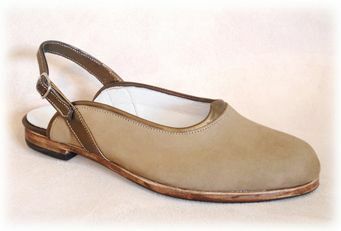 from NZ$ 495 Slingback, in soft nubuck leather with bronzed nappa trim. Single leather sole with low stack heels. 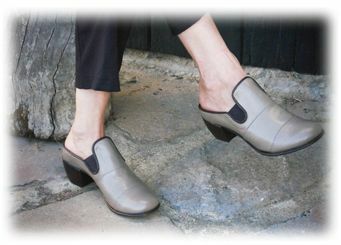 from NZ$ 520 Clog style slide, in calf leather with piped detail. Elastic sides. Single leather soles and Cuban leather stack heels. To get a newsletter every so often with stuff about workshops and what’s going on in my studio, please send your name and email address to: studio@sue-engels.co.nz and I will add you to my mailing list. Influenced by a love of vintage & retro , rich colour, contrasting texture and strong form. 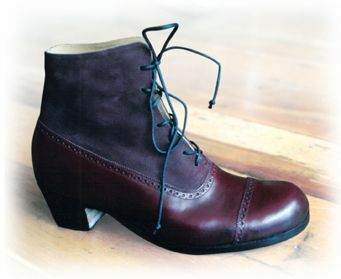 The last is tailored to suit your foot , the uppers individually cut and styled. & from NZ$ 650 to NZ$1250 for boots. See price breakdown details on my contact page. 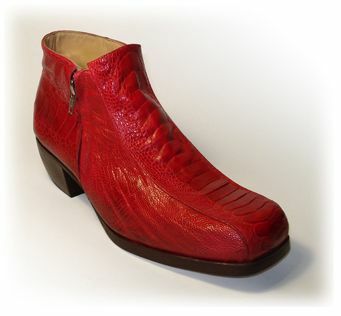 from NZ$ 690 (full ostrich shin leather as shown POA) Double zipped ankle boot with calf leather lining. Double leather soles with Cuban leather stack heels. 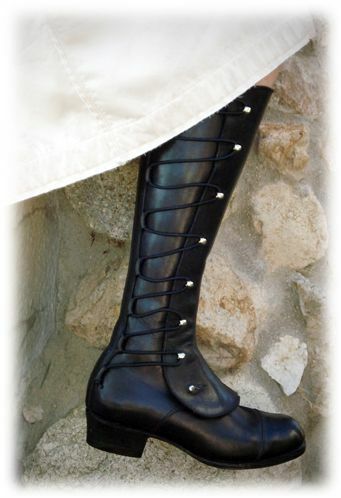 from NZ$ 790 Calf length lace–up boot. Smooth calf on Nubuck leather with contrasting underlay and calf lining. Single leather soles and tapered leather stack heels. from $950 Knee-high lace–up boot. Pewter distressed calf leather with contrasting ostrich skin (POA) and calf lining. Single leather soles and stack heels. 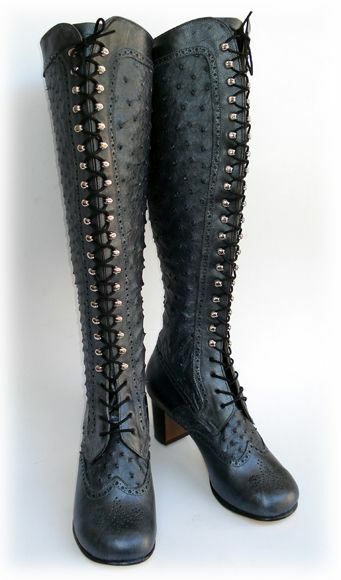 from NZ$ 885 Calf length side–laced boot. Calf leather and lining with ski hooks and easy elastic lacing. Double leather soles and stack heels. 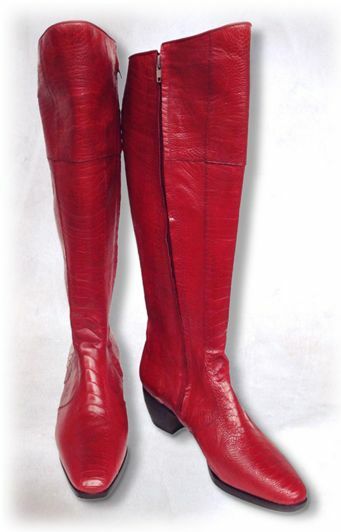 from NZ$ 885 Knee high zip boot. Calf leather with contrasting inlay and calf lining. Single leather soles and stack heels. 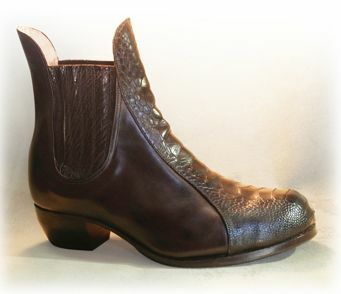 from NZ$ 885 Retro calf leather fitted riding style boot with calf lining. Double leathersoles and Cuban leather stack heels. 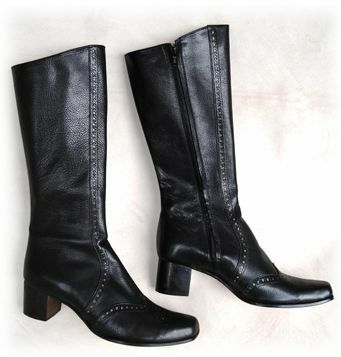 from NZ$ 885 Calf length pull–on boot in smooth calf leather with hair on printed calf detail and calf lining. 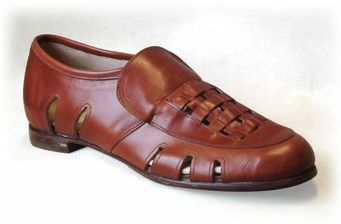 Double leather soles with grippy rubber tops. Cuban leather stack heels. 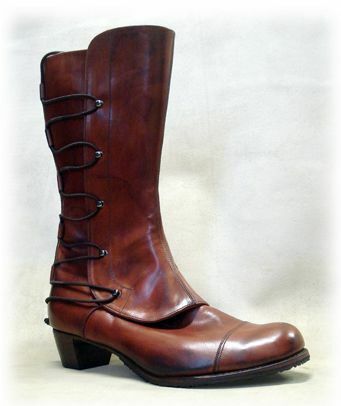 from NZ$ 745 Calf length side–laced boot.Calf leather and lining with ski hooks and easy elastic lacing. Double leather soles and stack heels. 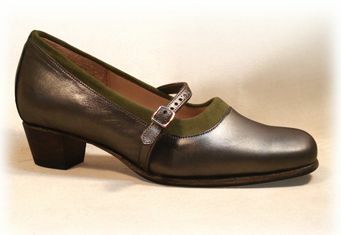 from NZ$ 665 English grain calf leather with antiqued brass buttons. Calf lining, double leather soles and low stack heels. 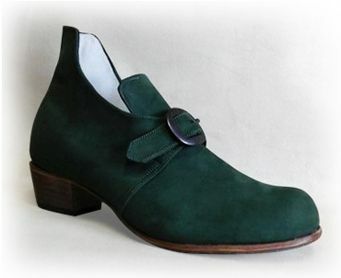 from from NZ$ 685 Kid suede or calf leather with antiqued brass buttons. Calf lining, single leather soles and sculpted stack heels. 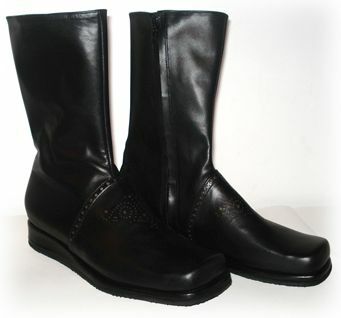 from NZ$ 745 The calf length version, side button closing boot, with around 7 or 8 buttons. Smooth calf leather with chrome plated or polished brass buttons. from NZ$ 690 Lace–up ankle boot. 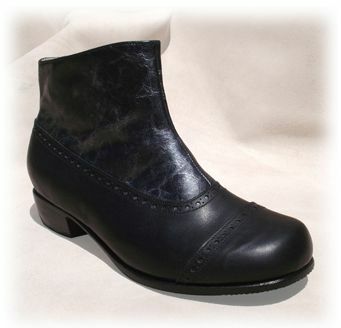 Smooth calf with bold contrasting 'mod' detail and calf lining. Double leather soles and chunky leather stack heels. 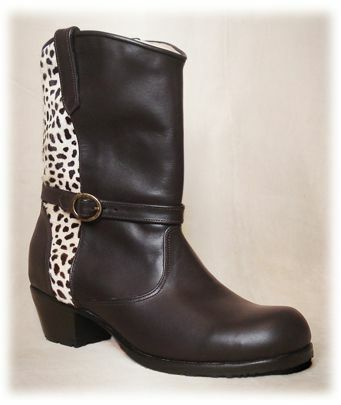 from NZ$ 690 Calf length fitted boot in soft nz deerskin or buffalo calf leather & textured ostrich or similar printed leather detail. Single leather soles and low heels. 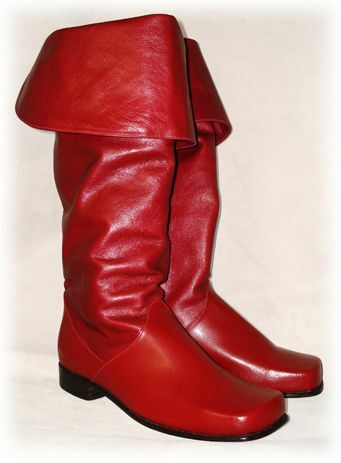 from NZ$ 745 Square toed mid calf length boot with zip closure. Calf leather and lining. Leather covered rubber wedge. 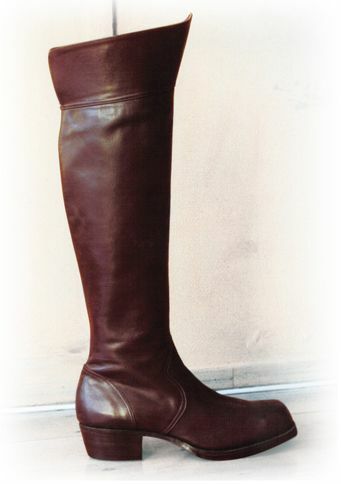 from NZ$ 885 Knee length pull–on boot with cuff. 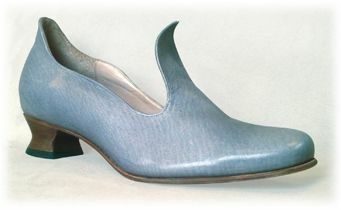 Smooth calf leather and lining with single leather soles and low stack heels. 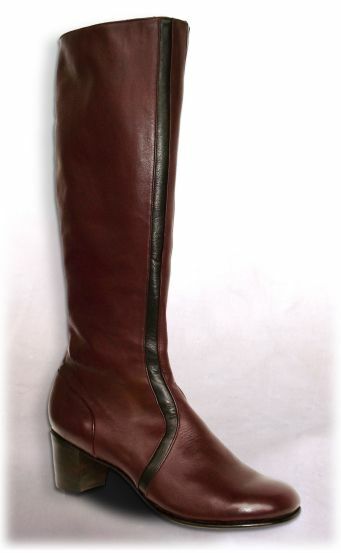 from NZ$ 885 Calf length zipped boot.Antiqued or plain calf leather with contrasting inlay and calf lining. Double leather soles and stack heels. from NZ$ 890 Calf leather with calf lining and zip closure. Double leather soles and straight stack leather heels. 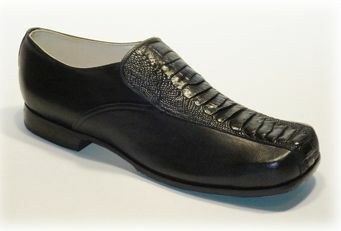 from NZ$ 950 (full Ostrich shin leather as shown POA) with calf lining and zip closure. Double leather soles and Cuban leather stack heels.